The first time, you said we should give Kareena a break for wearing the same style of sari in a different color. Now, what do you have to say? 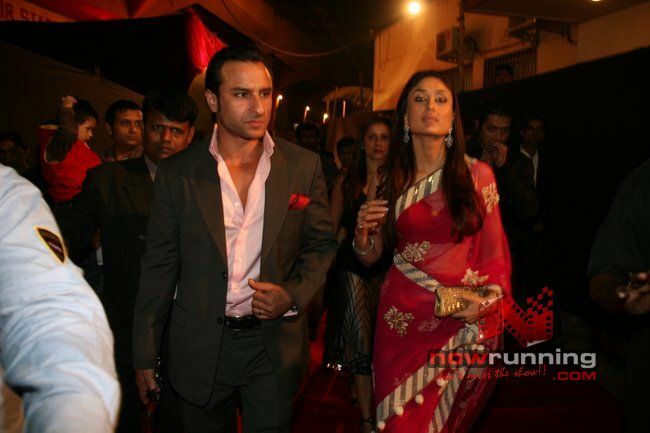 Kareena walked the red carpet of the Global Indian Awards with (can we say fiancee) Saif in a Manish Malhotra sari. But I am more curious now as to why Saif has is wearing a wedding on his ring finger? Just because Mr. Khan knows how to wear pink, we will not pick on him for wearing the same outfit back to back to two different events. 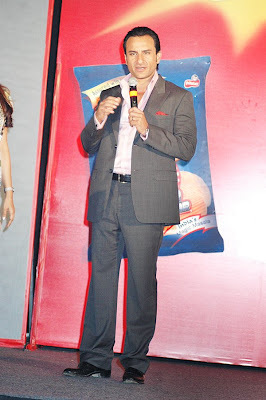 Somebody call Mr. Talpade and let him know that he needs to pick up some tips of wearing pink from Saif! Madhuri’s made blue and black look soo good that Maria has caught on to it. That’s a revival for black and blue, that featured both in Vikram Phadnis’ and Manish Malhotra’s collection back in 2006. Gotta wait and see who else is gonna wear the combo! Ooh! We are "Mad" About Manish! Look who we caught wearing Manish’s creation yet again!